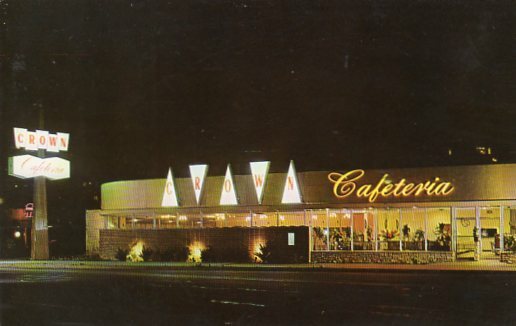 The good old Crown Cafeteria with two locations - Long Beach and Pasadena! Features "The Best of Everything" and free parking! Look. At. That. Sign. So much awesomeness, they really don't make them like this any more! Thanks to Rocky for this gem!